2018 repress; originally released in 2001 by the Dog W/A Bone label, this release features these 2 long pieces: For Samuel Beckett and The Turfan Fragments. 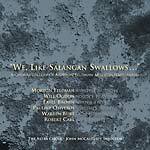 Performed by: The Orchestra of the S.E.M. Ensemble, with Petr Kotik, conductor. 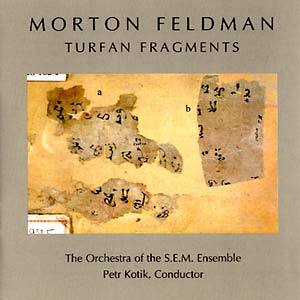 For Samuel Beckett and The Turfan Fragments are Morton Feldman's only chamber orchestra compositions. Both were commissions: The Turfan Fragments by the Swiss-Italian Radio Orchestra in 1980, For Samuel Beckett by the Schönberg Ensemble, Amsterdam, in 1987. 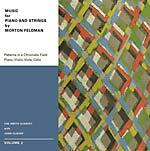 Both titles are descriptive and suggest how Feldman arrived at a particular concept for each piece. The Turfan Fragments is a succession of short sections, which could indeed be described as fragments. The title relates the composition to manuscripts from Turfan (the southwest region of present-day China), which are in the collection of the Preussischer Kulturbesitz in Berlin. These calligraphic remnants, going back to the 9th century, were brought to Germany before World War I and Feldman must have seen them while living in Berlin in 1971. In contrast, For Samuel Beckett is based on a single idea of several chord progressions unfolding continuously for almost an hour. 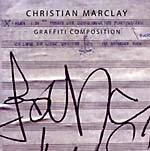 In 1977, Beckett wrote a text for Feldman, to be used as the libretto for his opera Neither. Feldman's description of Beckett's writing most eloquently suggests what was on his mind when composing For Samuel Beckett: "here's something peculiar about it [Beckett's text]. I can't catch it. Finally I see that every line is really the same thought said in another way. And yet the continuity acts as if something else is happening. Nothing else is happening. What you're doing, in an almost Proustian way, is getting deeper and deeper saturated into the thought." 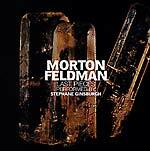 Includes an 8-page booklet with liner notes from Petr Kotik and an extract from Morton Feldman from Give My Regards To Eighth Street (Exact Change). The Orchestra of the S.E.M. Ensemble; Petr Kotik, conductor.